Researchers from the New York University School of Medicine followed more than 2,900 people for eight years. All of them were over 65. All the subjects had high blood pressure. But none had signs of heart disease when the study began. They didn’t have plaque buildup in their arteries or a prior heart attack. About half the participants were taking the statin pravastatin (Pravachol) and half were not taking any statin. The researchers found absolutely no health benefit to taking the drug. In fact, there were 141 deaths among statin users and only 130 deaths in the non-statin groups. Dr. Benjamin Han is assistant professor of medicine and population health at New York University School of Medicine. He is the lead author of the study. “Our study shows there may not be any benefit for statin therapy for primary prevention (of heart disease) for people who are over the age of 65,” he said. And while statins were shown not to help seniors who did not have signs of heart disease, there was plenty of evidence the drugs hurt them. Statin side effects include muscle pain and fatigue, which makes patients less able to exercise, Dr. Han noted. “Anything that can affect their physical function, anything that can affect their ability to do activities on a daily basis, puts them at a higher risk for further decline and a higher risk for mortality,” he said. More than 15 million Americans now take statins. But evidence is mounting that the only benefit they have is to Big Pharma’s wallet. The new study is the latest of many showing the dangers of these drugs. Australian researchers at the University of Queensland studied the medical data of over 8,000 elderly women for over 10 years. They found that women taking statins had a third greater chance of developing type 2 diabetes. If they were taking large statin doses, the risk grew to more than 50%. Statins also are linked to memory loss and Alzheimer’s. They increase calcification in your arteries and rob your heart of CoQ10, the very nutrient that keeps it strong. The risks don’t stop there. 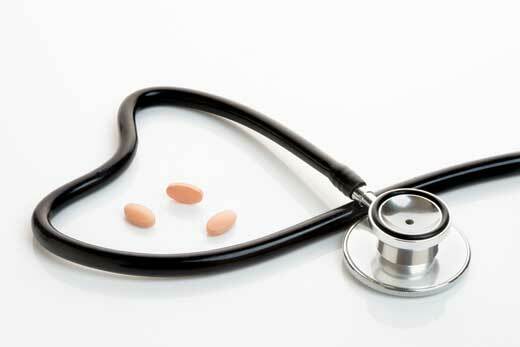 Statins raise the risk of thyroid cancer. And they raise your Parkinson’s risk by 139%, another study found. Dump simple carbs and grains. They raise blood sugar, which releases insulin into your system. This leads to inflammation and heart disease. Stay away from sugar, bread, and pasta. Avoid these oils. Corn…canola…vegetable…soybean… They all contain large amounts of omega 6 fatty acids that wreak havoc on the coronary system. Replace these with heart-healthy alternatives like organic extra virgin olive and coconut oil. Add antioxidants. Dark chocolate and red wine are loaded with them. Some of the best antioxidants sources include tart organic berries and leafy green vegetables. Tomatoes are great for cardiovascular health, too.